The Soundweb Contrio EC-4B is an Ethernet wall controller for use in Harman HiQnet systems. 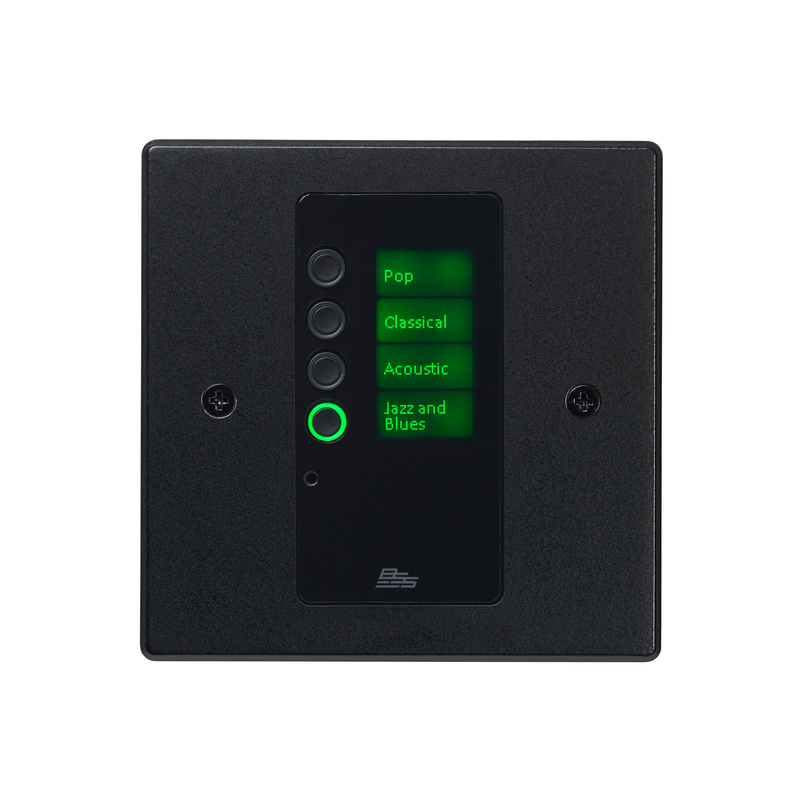 The EC-4B can control and monitor parameters within BSS Audio Soundweb London and other HiQnet devices, including Crown DCi series amplifiers. The EC-4B is available in black or white, and in single-gang US Decora or single-gang EU form factor. The EC-4B contains a single Ethernet port for configuration, control, monitoring, and power via PoE. The EC-4B is configured via simple drag-and-drop operations within the software application HiQnet Audio Architect. The EC-4B contains four buttons and one LCD screen. 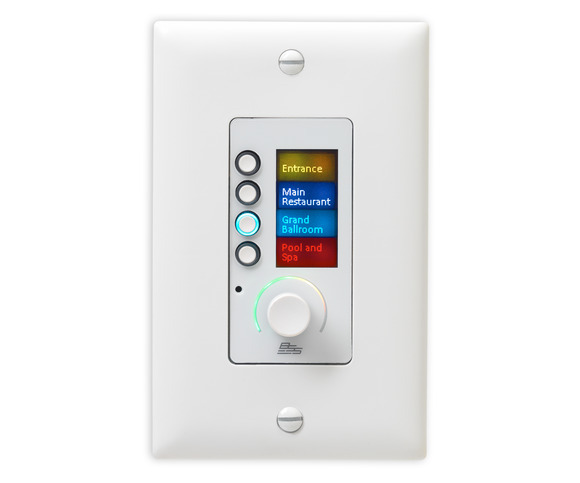 The buttons and LCD screen are multi-color backlit, capable of eight different colors with adjustable intensity. The EC-4B supports ‘sleep’ functionality. 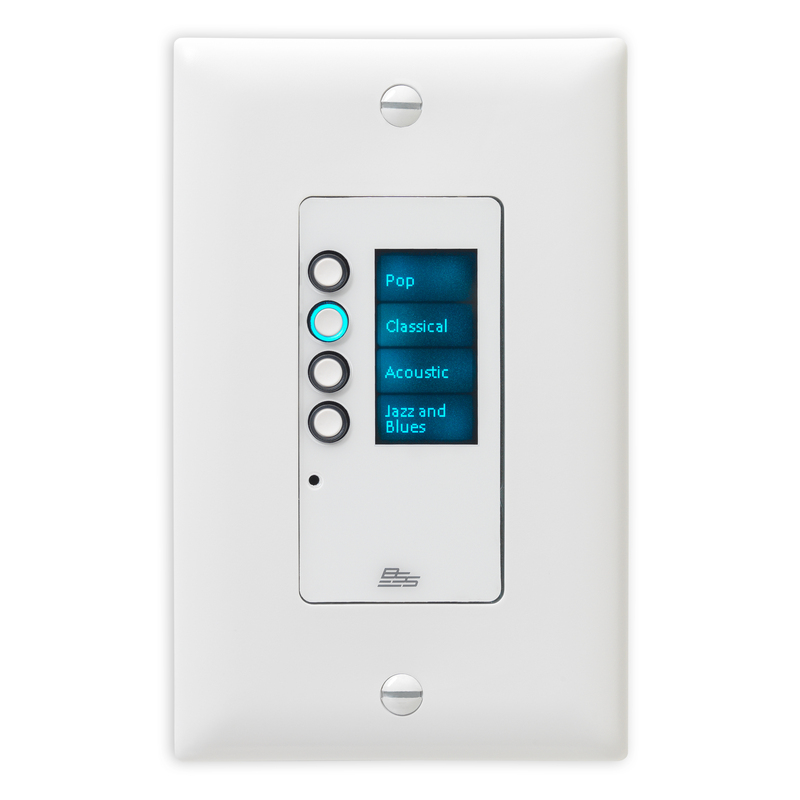 After a specified amount of time with no user input, the EC-4B can turn off all LEDs. This is useful to avoid distraction in a dimly lit environment. Any user interaction will ‘wake up’ the controller. 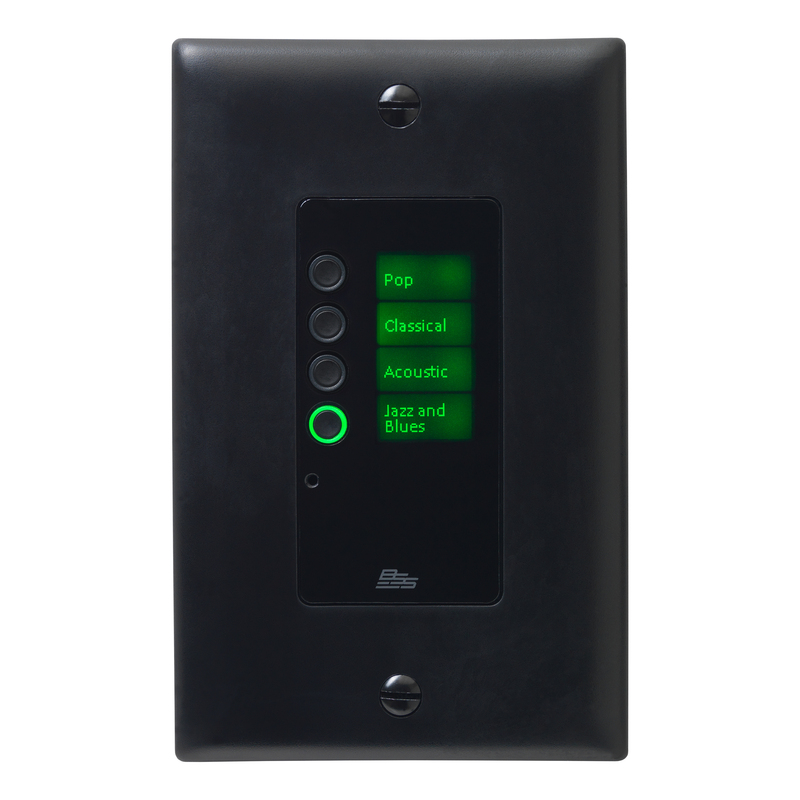 The EC-4B can be remotely locked and unlocked via other control systems. The EC-4B can be locally unlocked via a four-digit PIN entry on the buttons.